WASHINGTON: According to a new Spanish research, doctors could soon be prescribing a dose of dark chocolate to help patients with liver disease. The study suggests that dark chocolate can benefit patients suffering from liver cirrhosis & from dangerously high blood pressure in their abdomen. It contains potent anti-oxidants, which reduce the post-prandial (after-meal) blood pressure in the liver (or portal hypertension) associated with damaged liver blood vessels (endothelial dysfunction). “As well as advanced technologies & high science, it is important to explore the potential of alternative sources which can contribute to the overall wellbeing of a patient,” Professor Mark Thursz, MD FRCP, Vice Secretary of EASL & Professor of Hepatology, at Imperial College London said. “This study shows a clear association between eating dark chocolate & portal hypertension & demonstrates the potential importance of improvements in the management of cirrhotic patients, to minimise the onset & impact of end stage liver disease & its associated mortality risks,” he added. Cirrhosis is scarring of the liver as a result of long-term, continuous damage to the liver. In cirrhosis, circulation in the liver is damaged by oxidative stress & reduced antioxidant systems. After eating, blood pressure in the abdominal veins usually increases due to increased blood flow to the liver. This is particularly dangerous & damaging to cirrhotic patients as they already 've increased blood pressure in the liver (portal hypertension) & elsewhere, which, if severe, can cause blood vessel rupture. Thus, eating dark chocolate may ultimately prevent this potential threat to cirrhotic patients. In the study, 21 patients with end stage liver disease were randomised to receive a liquid meal containing white chocolate or one containing dark chocolate. Various measurements were taken before the meal & 30 minutes afterwords. 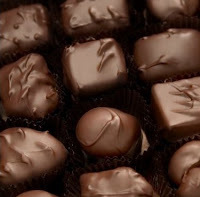 The dark chocolate meal caused a smaller rise in blood pressure in the liver than the white chocolate meal.White chocolate does not contain any cocoa flavonoids, which 've the anti-oxidant properties.